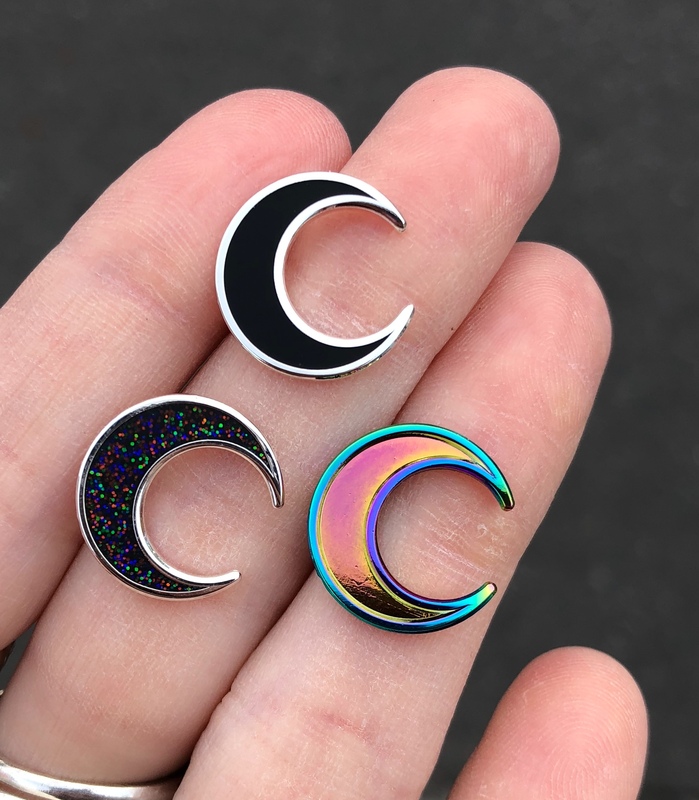 This is a mini version of our crescent moon. It’s a little over half an inch, and it fits snuggly up next to other pins, making it a perfect accent for your jacket. It can be flipped from waxing to waning depending on if you’re trying to attract or banish something. 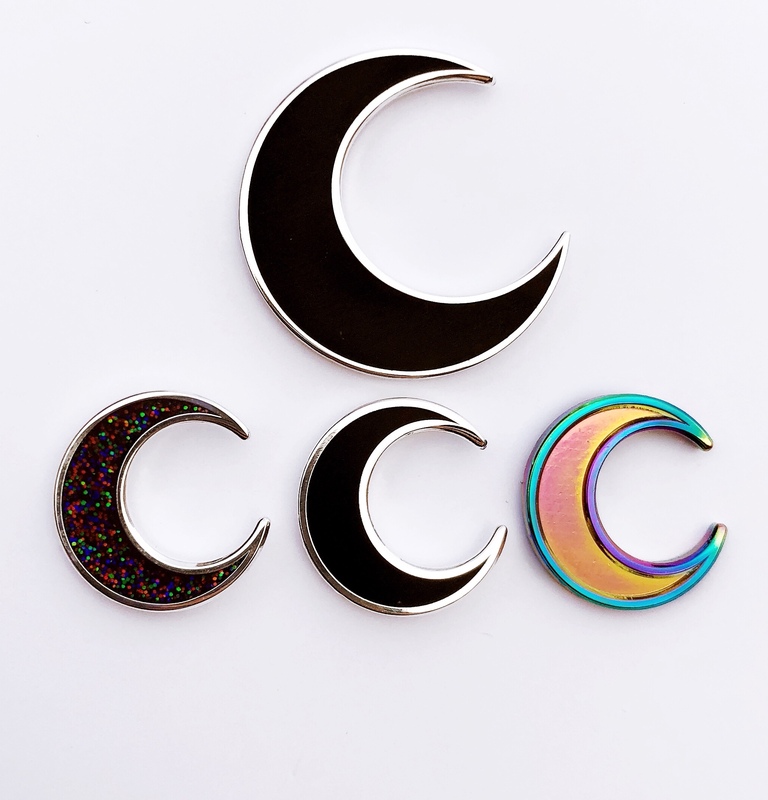 It comes in a silver colored metal with black hard enamel, a silver colored metal with rainbow glitter in a black hard enamel, a light pinkish purple hard enamel with silver colored metal, and a rainbow colored metal with no enamel. Glitter varies in color, some are dark and some are light. Rainbow metal is various shades, no two are alike in color.